President Trump recently made news when he announced that he would suspend the automatic pay increases that civilian federal government employees were set to receive in January 2019, which would be the first time since President Obama suspended automatic pay raises for U.S. government workers in 2011. Bloomberg‘s Toluse Olorunnipa and Louis Labrecque describe how much that raise would cost U.S. taxpayer if President Trump did not act to stop it by August 31, 2018. Had Trump not acted by Friday, federal workers would have received an automatic across-the-board pay increase of 2.1 percent and locality pay increases averaging 25.7 percent under the 1990 Federal Employees Pay Comparability Act, according to the letter. To get a sense of the cost of the automatic pay raise that was to take effect, we need to know two things: (1) how many civilian federal government employees are on Uncle Sam’s payroll, and (2) how much money they make. Here, we know that the U.S. government has over 2 million employees on its civilian payroll, while an April 2017 Congressional Budget Office report that compared the compensation of federal government and private sector workers provides their average annual compensation. The following chart shows the total compensation by education level for federal government versus private sector workers who are employed full-time, year-round (about 94% of the federal government’s civilian workforce, which covers 1,880,000 of the total). The average total compensation of U.S. government workers for all education levels is $134,784 per year (in constant 2015 U.S. dollars), which is 17 percent higher than the average annual compensation of comparable private sector workers. Assuming that a 2.1 percent raise would apply to this figure, which combines the values of both wages and benefits, the average total compensation of the U.S. government’s civilian employees would rise by $2,830 to $137,614 in terms of 2015 dollars. Multiplied by 1,880,000 civilian federal workers, that automatic pay increase would have cost U.S. taxpayers over $5.3 billion if it had been allowed to proceed unchecked. That figure would have been much, much higher if the locality pay increases were also allowed to go forward, but that would have been unlikely in any case, especially since most U.S. Presidents since 1990 have acted to prevent those increases from occurring because of their extremely high cost to taxpayers. If we do that math, in 2019, that would mean avoiding giving out an additional $34,639 to each U.S. government employee on top of that automatic 2.1 percent raise, which would have boosted their average annual compensation up to $172,253. 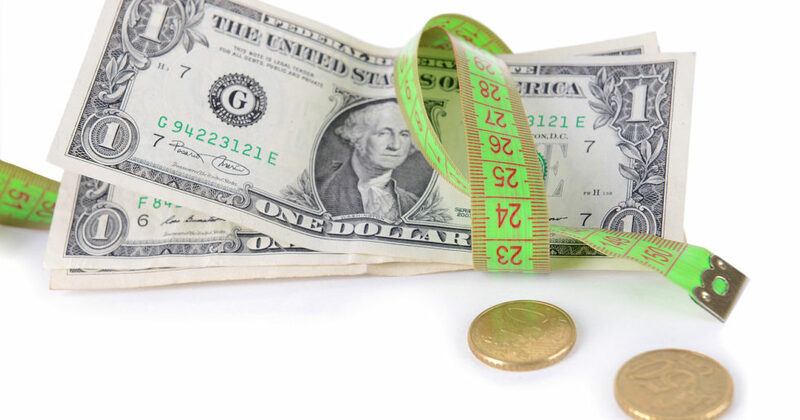 Across 1,880,000 federal employees, the cost to U.S. taxpayers of funding that kind of raise would exceed $70 billion, adding another 1.6 pecent to the $4.407 trillion that the U.S. government is already projected to spend in its 2019 fiscal year. 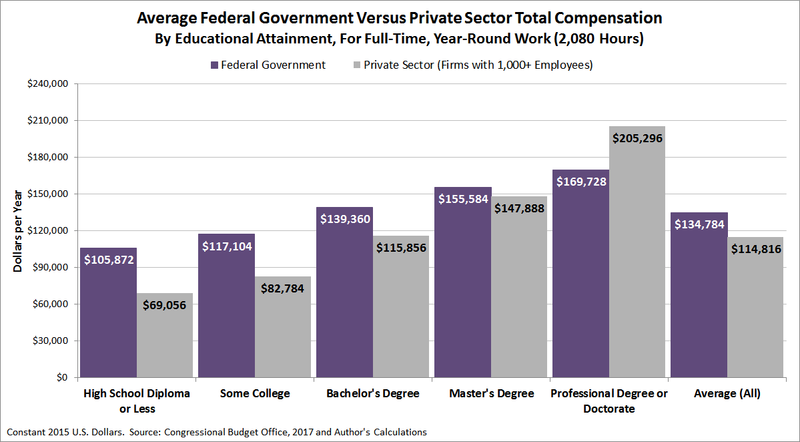 Would this be a bad time to also point out how much more highly compensated the average federal government employees are when compared to their comparably educated peers in the private sector? Or to note that the federal government prefers to rehire the bureaucrats it fires for misconduct, rather than to bring outsiders onto the federal government’s gravy train?